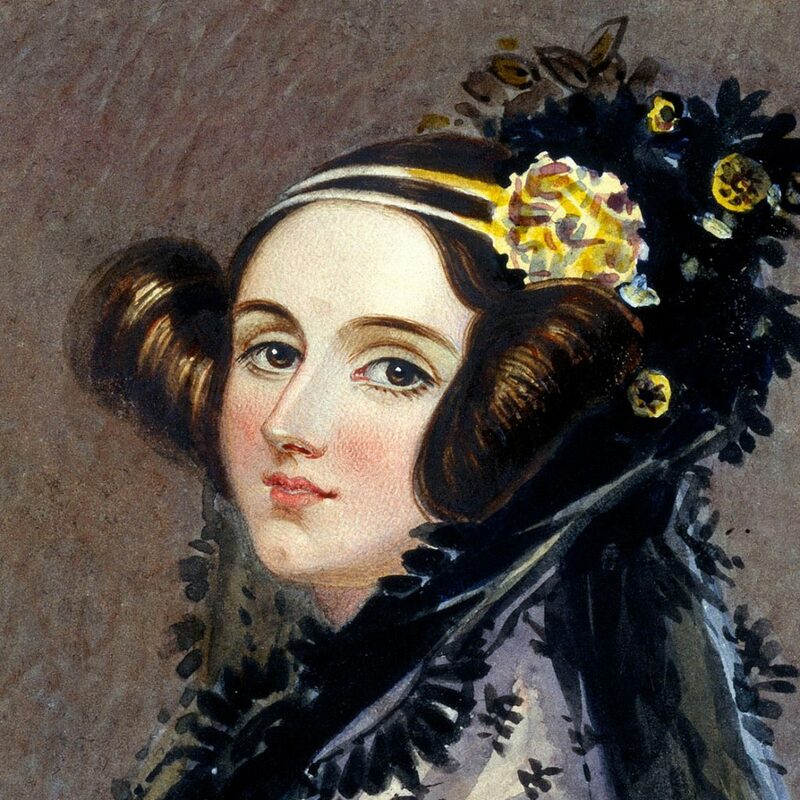 Ada Lovelace, the only legitimate child of the poet Lord Byron, was a brilliant enthusiast of mathematics who anticipated the enormous potential of computers at a time when the first mechanical calculators had only just been created. However, new data confirms what many experts already believed, that despite the undeniable value of her contributions, the widespread idea that she wrote the first computer program in history is only a myth. “Is thy face like thy mother’s, my fair child! ADA! sole daughter of my house and heart? When last I saw thy young blue eyes, they smiled, and then we parted, –not as now we part, but with a hope. So begins the Third Canto of Childe Harold‘s Pilgrimage, the work that launched to fame George Gordon Byron, better known by the aristocratic title he inherited from his great-uncle. The “Ada” to whom Lord Byron was referring was, in fact, “the only daughter of his house,” who would end up being the only legitimate descendant of a man who was known not only for his literary talent, but also for his turbulent love life. And yet, despite these loving verses, Augusta Ada Byron, later the Countess of Lovelace (London, 10 December 1815 – London, 27 November 1852), was also the child from whom Byron was separated when she was only one month old, never to see again. This departure was actually a decision of Ana’s mother and the poet’s wife, Annabella, whose strict religious morals collided with the scandals of a man who was rumoured to have had an incestuous relationship with his half-sister, from which a girl was born. After the breakup with his wife, Byron went to Greece, where he died when Ada was eight. Although Annabella separated herself from Byron to protect her daughter from what she considered her husband’s insanity, the truth is that she was not an exemplary mother. According to the reflections of Benjamin Woolley in his biography The Bride of Science: Romance, Reason and Byron’s Daughter (Pan Macmillan, 1999), Annabella hardly took care of Ada. However, seeking to keep her away from the delusions of her father, she at least bequeathed her daughter with an education in mathematics that would lead to achievements that would eventually be remembered. Ada was a girl of poor health but with a brilliant mind. At the age of only 12 years old she decided to scientifically study the possibility of flight. But, without doubt, the key point of her life would come when, in 1833, her mentor, the polymath Mary Somerville, presented her to the mathematician Charles Babbage, often considered the father of computing. 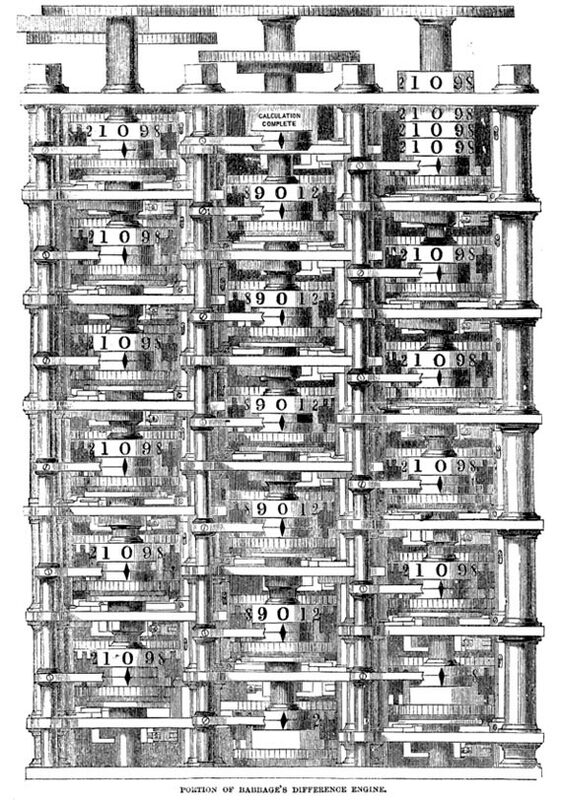 Babbage was immersed in the construction of a prototype for a device called the Difference Engine, a mechanical calculator for producing polynomial tables. However, the mathematician cherished an even more ambitious project, the Analytical Engine, a device with a more general use, programmable and with memory, a true computer of the nineteenth century. Babbage was impressed by the mathematical intelligence of the youth, whom he called “the Enchantress of Numbers.” This relationship would be the origin of the greatest achievements of Ada Lovelace, but also of a confusion that has lasted until today, attributing to her a work that, in reality, was not hers. This is the story. 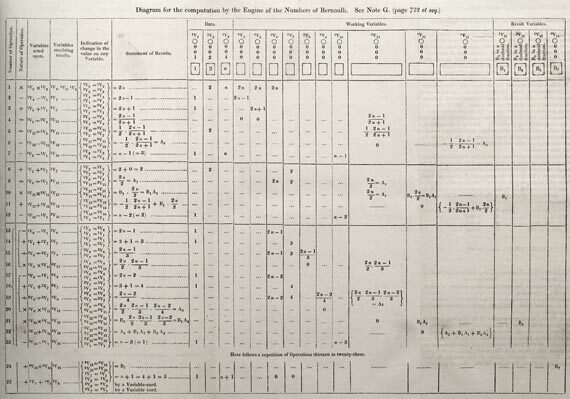 In 1840, Babbage travelled to Italy to explain the concept of the Analytical Engine at the University of Turin. Among the audience members was the military engineer and mathematician Luigi Menabrea, who later published his notes of the conference in French. Ada was commissioned with translating what Menabrea had written into English, and, in doing so, she added a more extensive appendix than was in the article itself, consisting of seven notes labelled alphabetically from A to G.
This dialectic between imagination and technology summarizes for Woolley the eventful life of a “brave, tragic and capricious” figure who was struggling between “forces that are both creative and antagonistic,” and her premature death at age 36 because of a uterine cancer marked her life with one last paradox – her desire to be buried next to her father, whom she never knew.